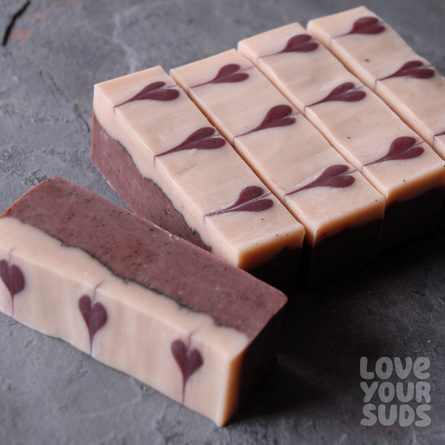 Fall in love with the smooth creamy lather and lovely exfoliation this body bar brings. Packed with the detoxifying properties of caffeine these yummies are made with fresh, locally sourced espresso beans and pure peppermint essential oil. Saponified oils/butters of coconut*, olive*, palm*, castor, cocoa* and shea*, fresh brewed espresso coffee*, beeswax, kaolin clay, 100% pure essential oils (peppermint), ground coffee beans*, natural mica colourants. Want to get your hands on some? Complete the form below to request an order. Fill this out if you would like us to reach you by text message. Note: We offer pickup or delivery by bicycle within Vancouver, BC only. Supplies are limited and orders are filled on a first come first served basis. Payment accepted by email transfer or COD. We will be in touch within 5 business days to finalise your order. Apologies if we sell out of this soap before your order is filled.